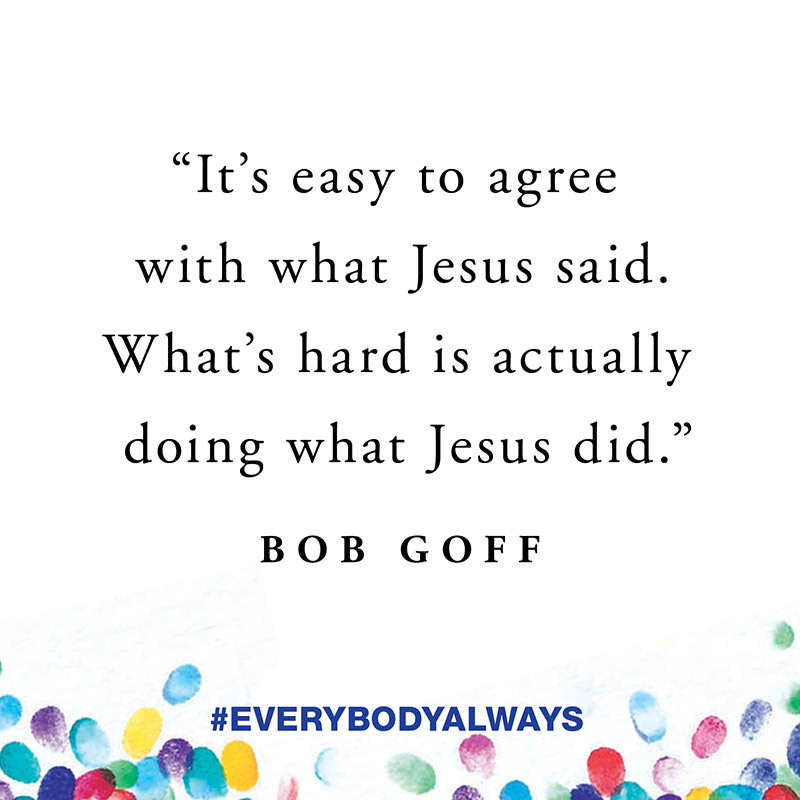 Order a copy from your preferred retailer! 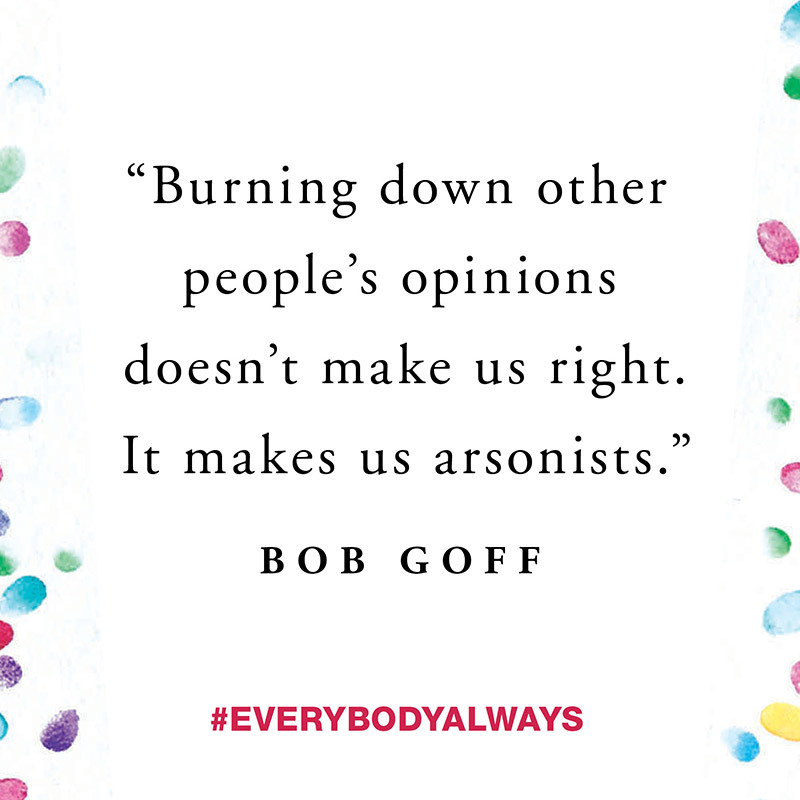 Don't see your preferred retailer? 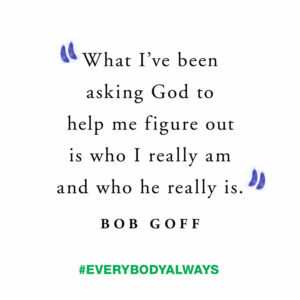 Visit the website on your desktop for a full list. 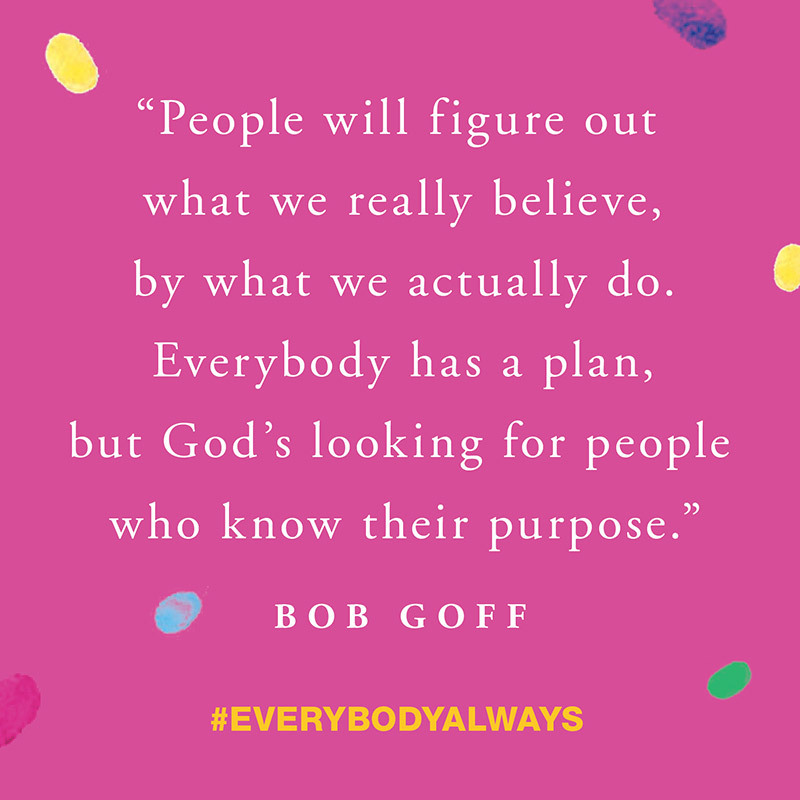 Everybody, Always curriculum is now available! 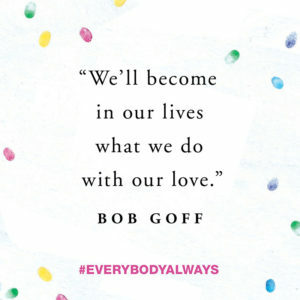 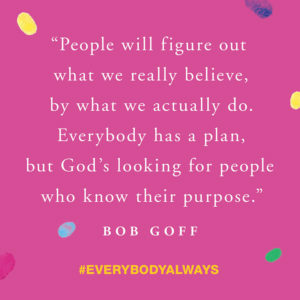 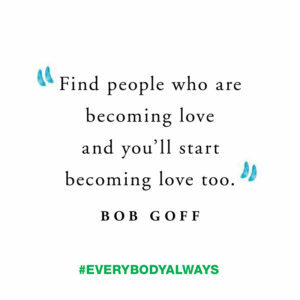 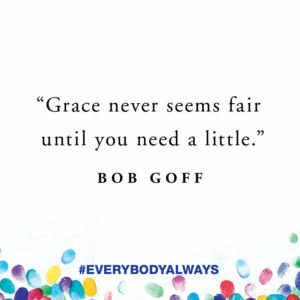 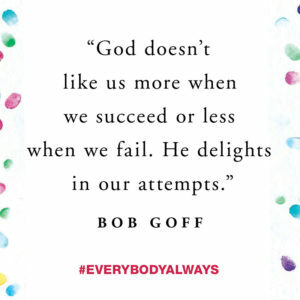 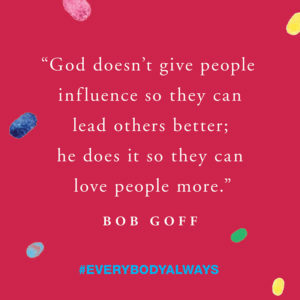 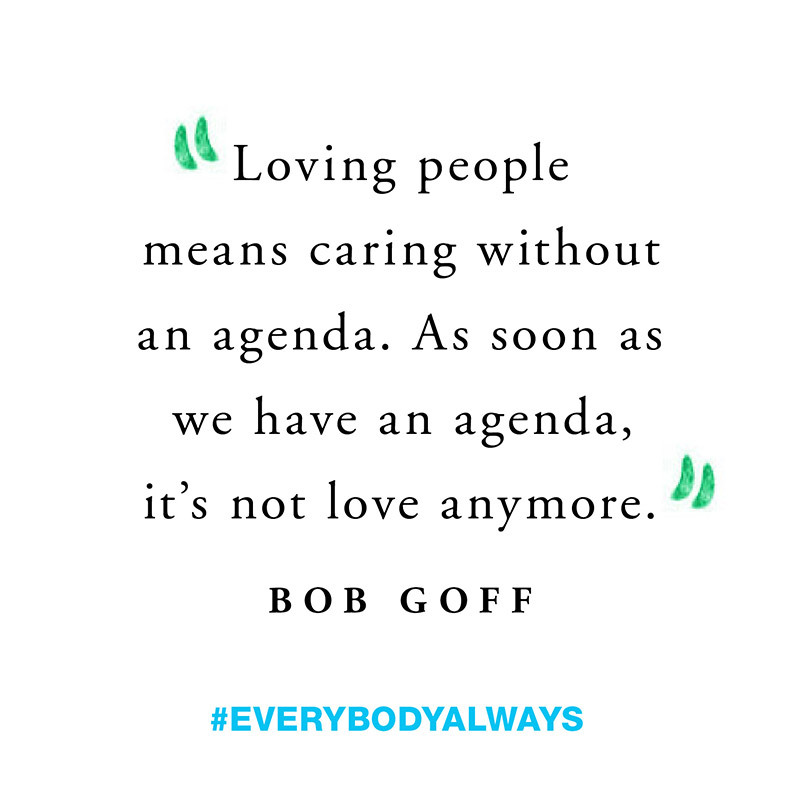 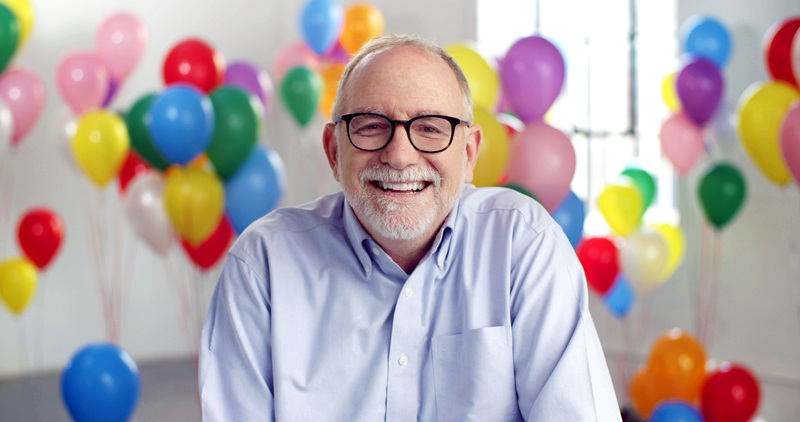 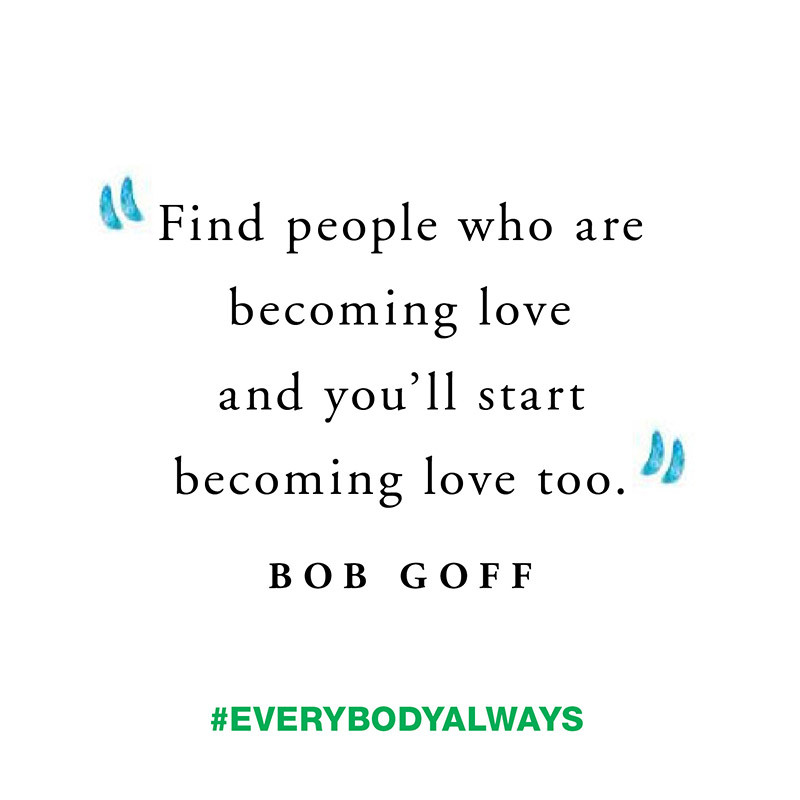 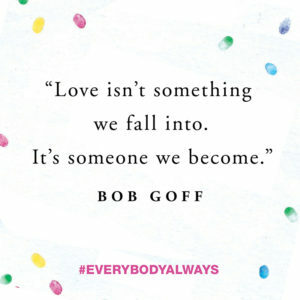 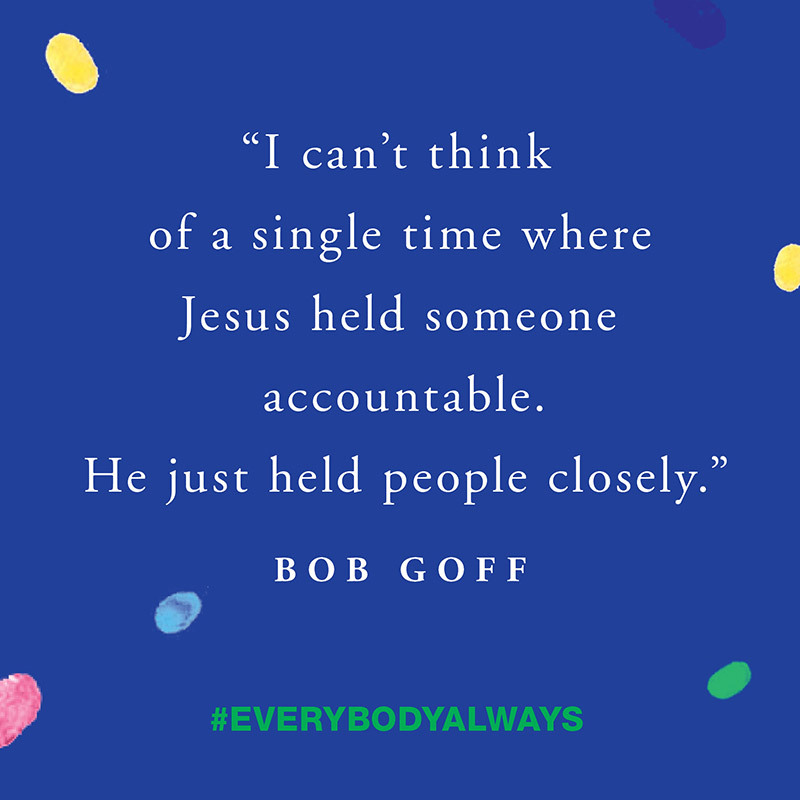 In this five-session video study, bestselling author Bob Goff shares simple and practical steps to love everybody, always, the way Jesus did - including the "creepy people" who are difficult to love. 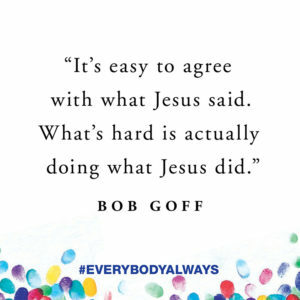 Church Source is currently offering a FREE download of the first session. Click the button below to check it out! 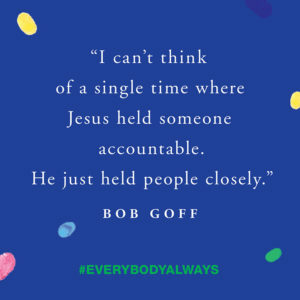 Download the First Session Free! 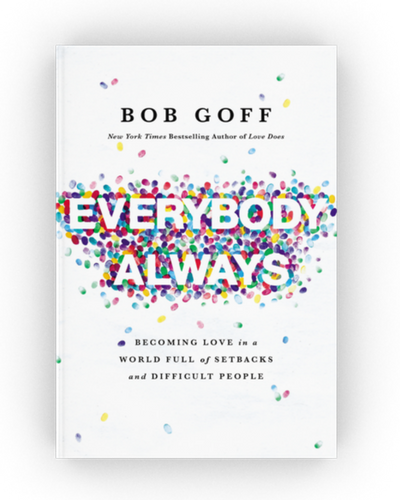 Buy the B&N Exclusive Edition! 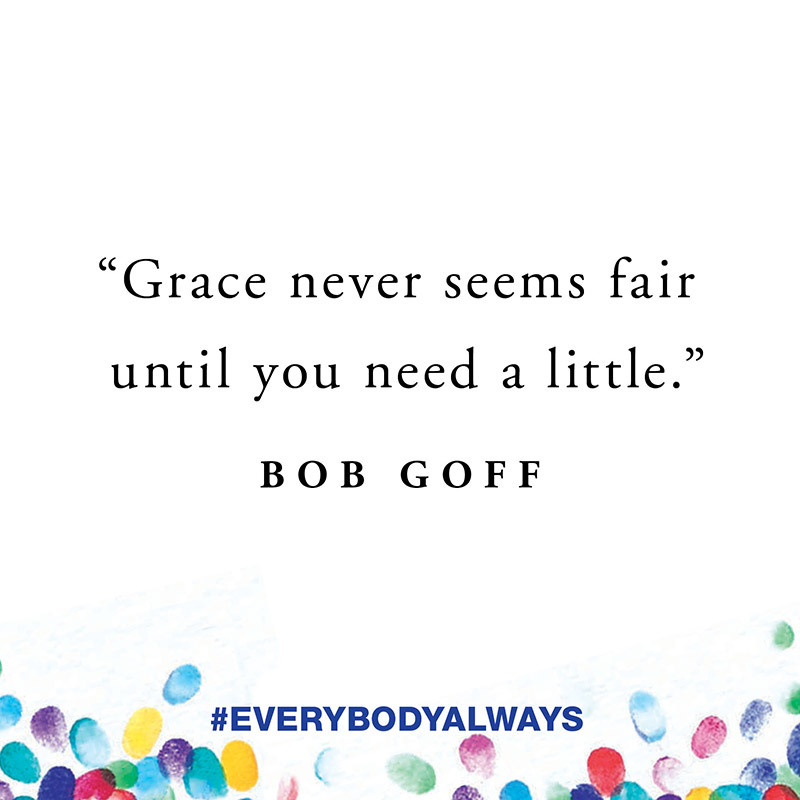 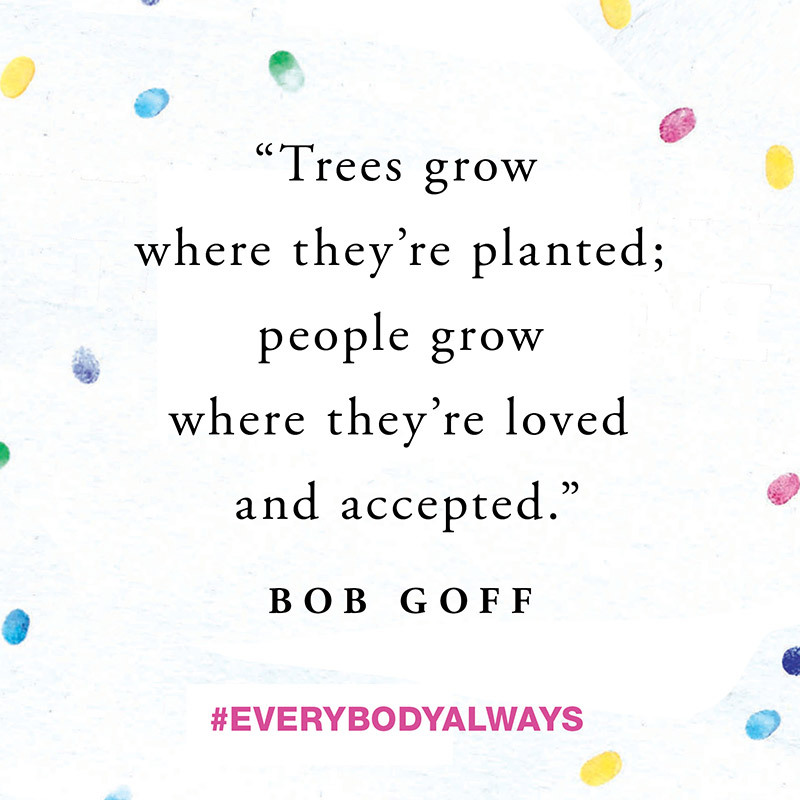 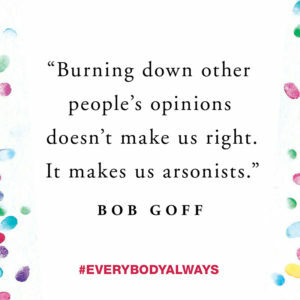 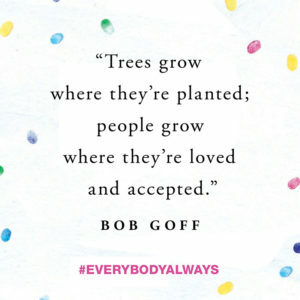 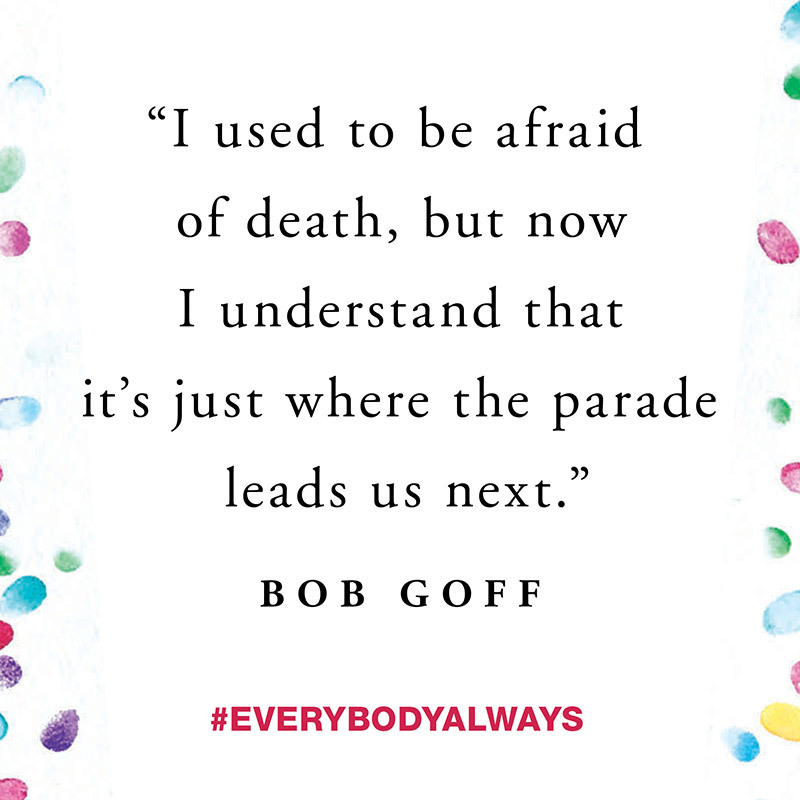 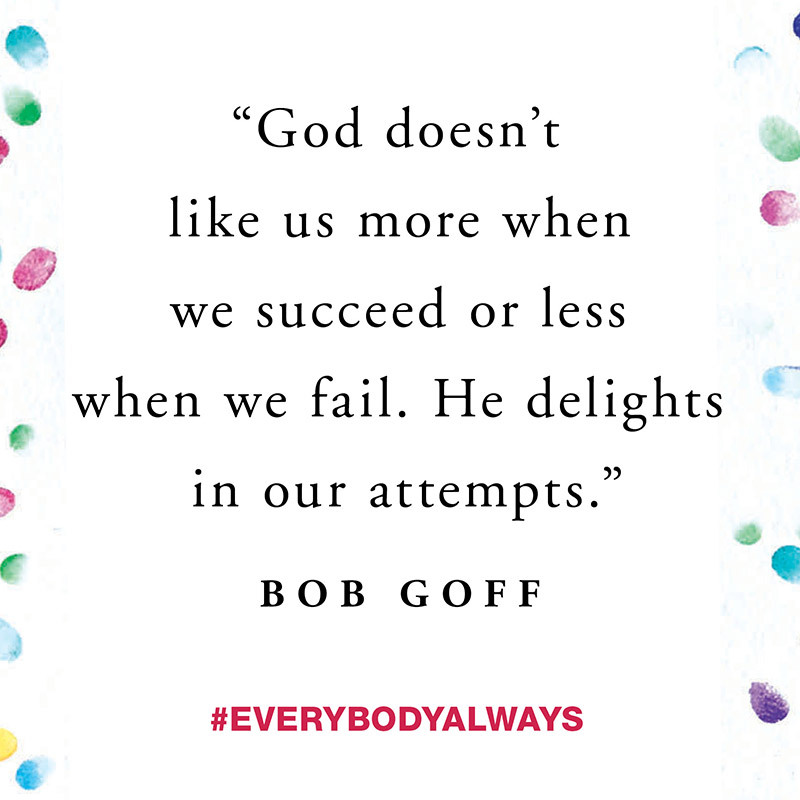 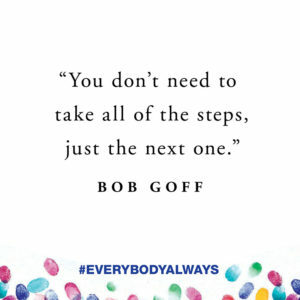 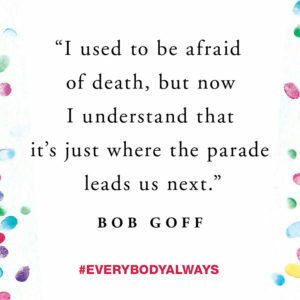 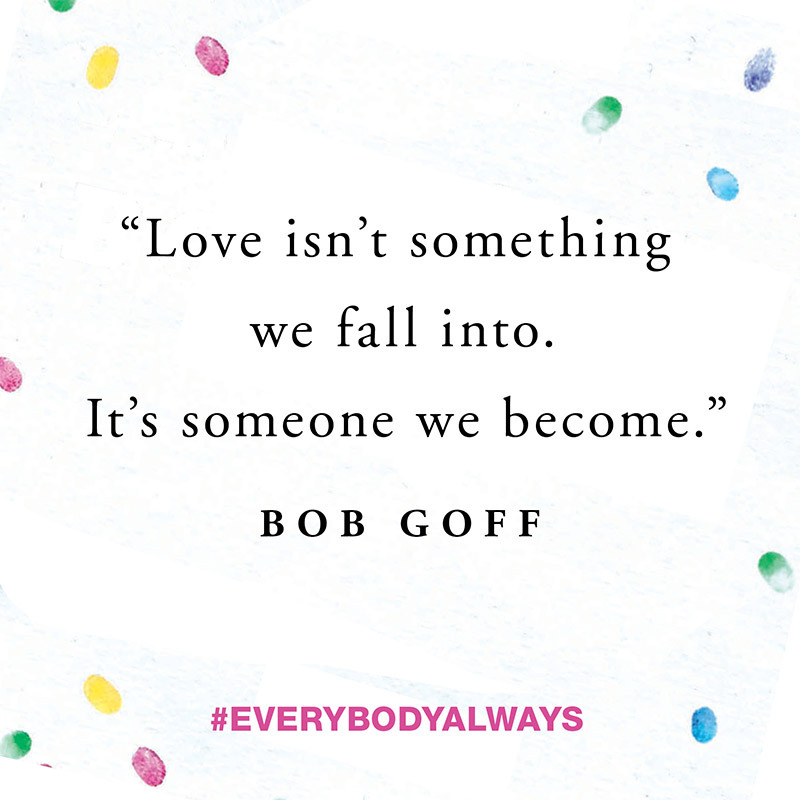 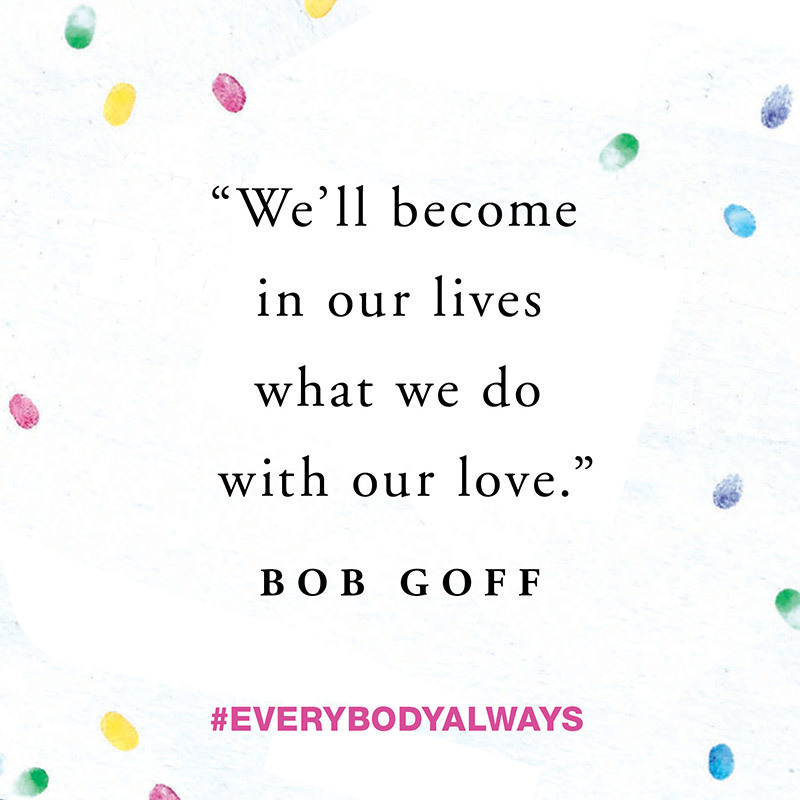 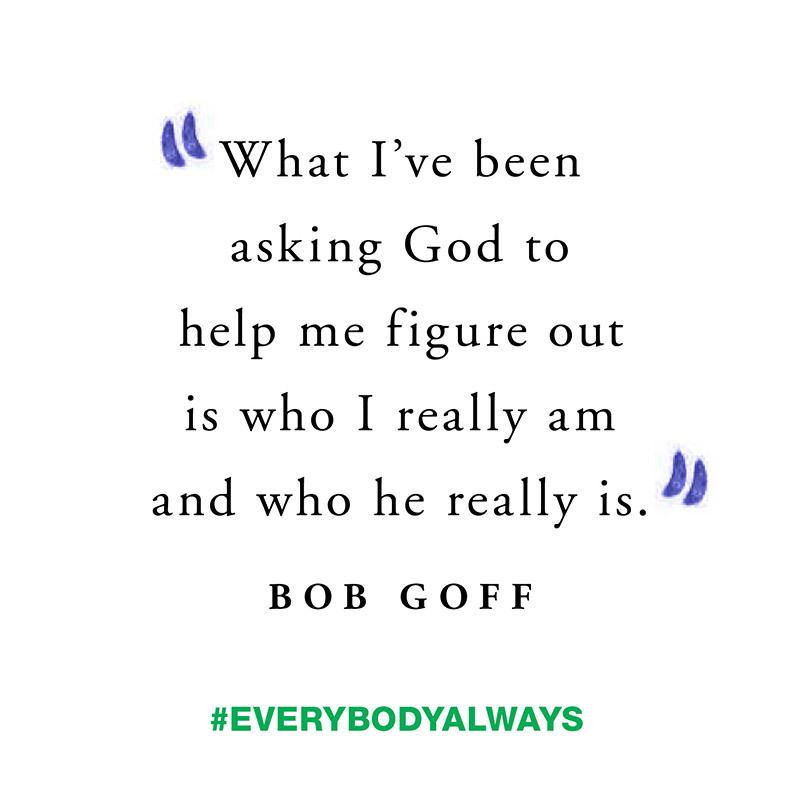 An exclusive edition of Everybody, Always is available for a limited time only at B&N. 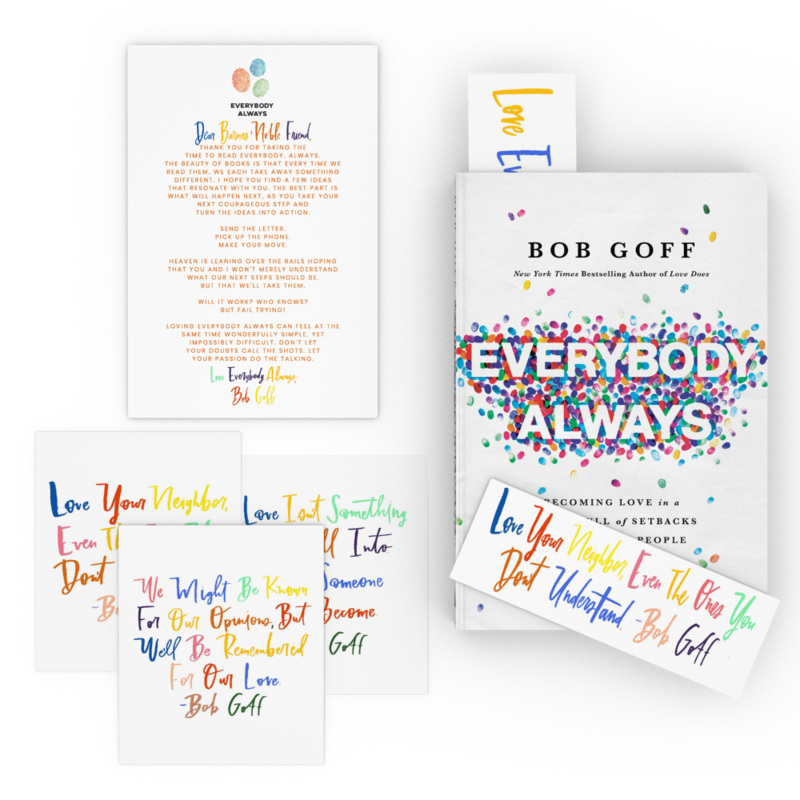 This edition includes one copy of the book, an exclusive note from Bob, 2 bookmarks, and 3 post cards. 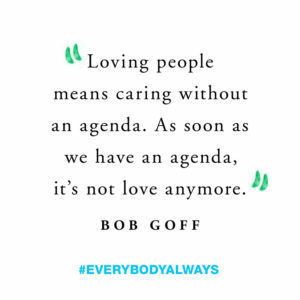 is the founder of Love Does, a nonprofit organization that operates schools and pursues justice for children in conflict areas such as Uganda, Somalia, and Iraq. 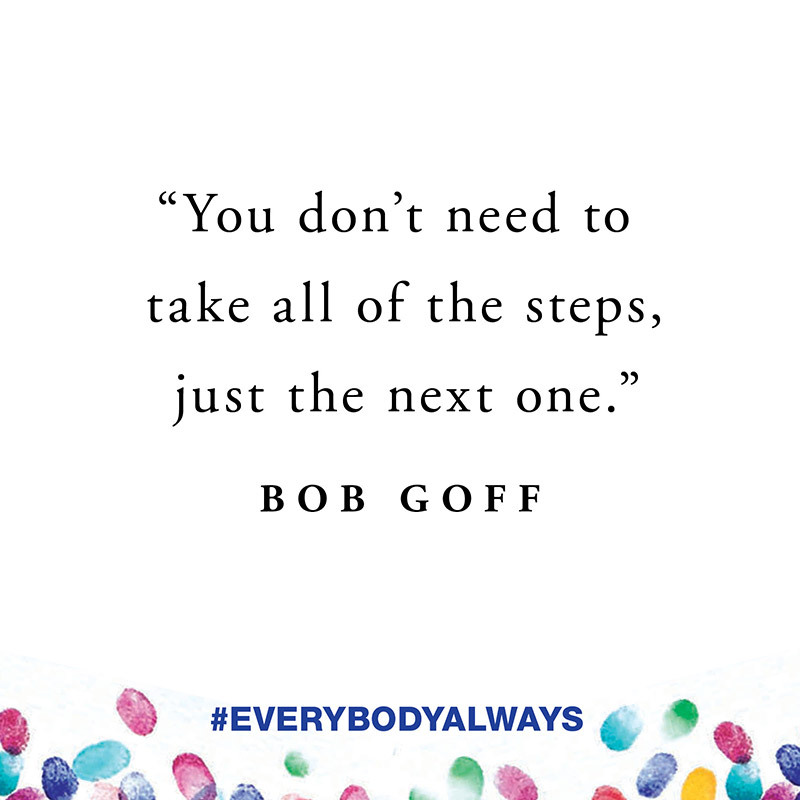 Bob is a lawyer and serves as the honorary consul for the Republic of Uganda to the United States. 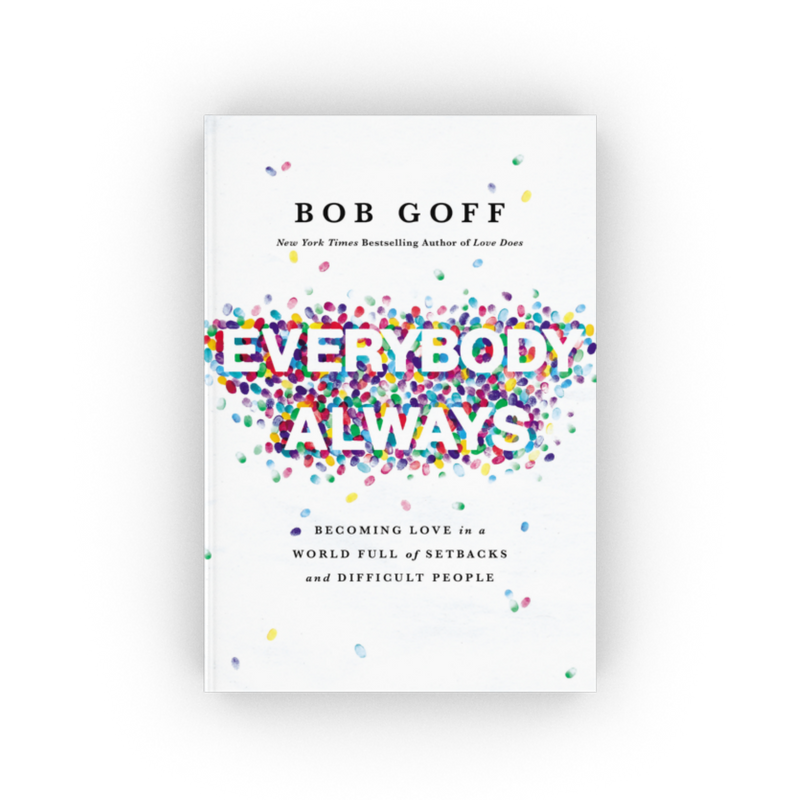 He is an adjunct professor at Pepperdine Law School and Point Loma Nazarene University and lives in San Diego with Sweet Maria, their kids, and extended family.